The Market Shops, located at the entrance to Sandestin Golf and Beach Resort, will host free, weekly fitness classes on the lawn. 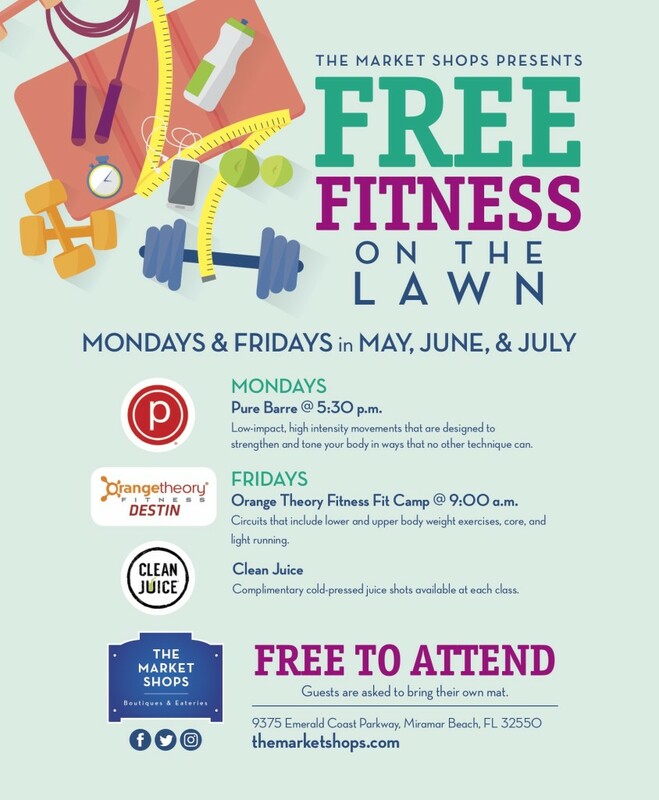 Beginning Friday, May 3, 2019, through Monday, July 29, 2019, Free Fitness on the Lawn will take place on Mondays at 5:30 p.m. with Pure Barre and Fridays at 9:00 a.m. with Orange Theory Fitness. The classes are free to attend and open to individuals of all fitness levels. Monday classes, taught and hosted by Pure Barre will consist of low-impact, high intensity movements that are designed to strengthen and tone, while Friday classes taught and hosted by Orange Theory Fitness will include circuit training with lower and upper body weight exercises, core, and light running. Clean Juice, located in The Market Shops, will also be offering complimentary juice samples and discount coupons to those who participate in each class. Located at the entrance of Sandestin Golf and Beach Resort, The Market Shops is an upscale, neighborhood-style shopping, dining and entertainment center. The Market Shops is the Emerald Coast’s premier location for local and unique retailers, specialty boutiques and an array of eateries from casual to fine dining. For more information, visit www.themarketshops.com or find The Market Shops on Facebook, Twitter and Instagram. Monday – Pure Barre at 5:30 p.m.
Friday – Orange Theory Fitness Fit Camp at 9 a.m. The Market Shops, located at the entrance to Sandestin Golf and Beach Resort, presents the 2019 Winter Concerts. The two concerts will take place on January 26 with David Seering and February 16 with Ron Adams. 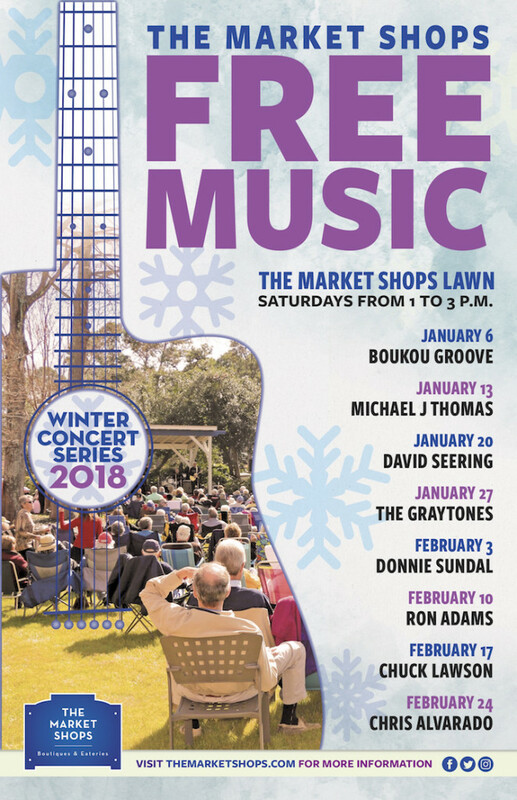 The Winter Concerts are free and open to the public. They will take place on The Market Shops’ main lawn from 1 to 3 p.m. Attendees are encouraged to bring their own chairs and blankets to enjoy the show. *Weather permitting. Please check The Market Shops Facebook page for updates. 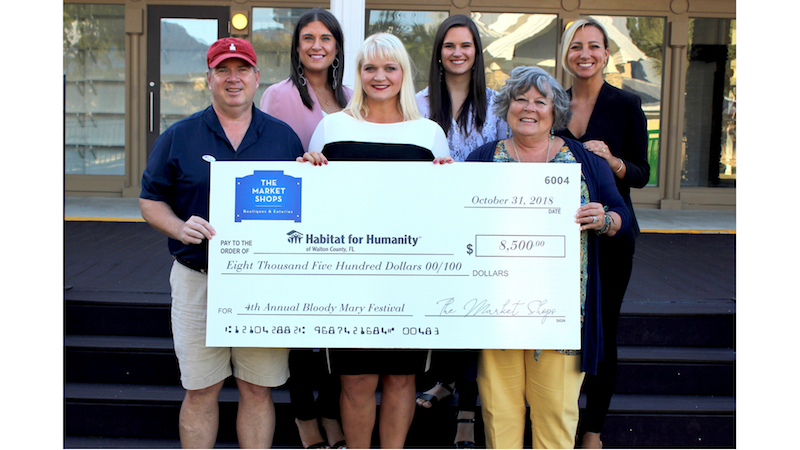 MIRAMAR BEACH, Fla. (October 31, 2018) – The Market Shops, located at the entrance to Sandestin Golf and Beach Resort, hosted the 4th Annual Bloody Mary Festival on Oct. 6, 2018, raising $8,500 for Habitat for Humanity of Walton County. The fourth annual event featured unlimited tastes of the Emerald Coast’s most creative and innovative Bloody Marys made with Cathead Vodka and served in in specialty cups provided by Compass Builders by the finest restaurants and bars on the Panhandle. Guests were greeted upon arrival with festive décor courtesy of Mingle before entering the bustling courtyard full of restaurants and merchants from The Market Shops. The grand lawn featured the bloody marys along with live music performed by the Luke Langford Band on the main stage, sponsored by Hyatt Place Sandestin at Grand Boulevard. Event goers made their way around the tents, sampling each Bloody Mary served by the Emerald Coast’s finest locally owned restaurants. Upon check-in, guests received a token in order to vote for the coveted People’s Choice Award for the Best Bloody Mary in South Walton. All awards were custom made by local artist, Maxine Orange. There was plenty of food to go around during the festival byvarious restaurants located directly in The Market Shops, including Bijoux Restaurant + Spirits, Maple Street Biscuit Company, and Pizza by the Sea along with barbecue from Back Beach Barbecue, fresh shucked oysters from Slick Lips Seafood and Oyster House. Apart from the Bloody Marys, guests sipped on fresh pressed juice from Clean Juice, local craft brews served by Grayton Beer Company, and champagne from the Bubbly Bar, served by the Courtyard by Marriott Sandestin at Grand Boulevard. While sipping their bloody marys, guests had full access to the hydration and relaxation station presented by the Salamander Spa, a commemorative photo booth with Epic Photo Company sponsored by My Vacation Haven, a cigar bar by Shore Thing Cigars, and exclusive shopping options from the merchants of The Market Shops. Rent Gear Here also set up flat screen TVs and seating for event goers to watch various college football games. The Market Shops would like to thank the participating restaurants, including Another Broken Egg Cafe, Bijoux Restaurant + Spirits, Bud & Alley's Restaurant, Camille's at Crystal Beach, Clean Juice, Cuvée Kitchen + Wine Bar, Emeril's Coastal Italian, Grayton Beer Brewpub, The Henderson Beach Resort & Spa, LuLu's Destin, Maple Street Biscuit Company, Market 27, Pizza by the Sea, Signature Catering of 30A, Sunset Bay Cafe, The Surf Hut, and Vue on 30A. A special thanks to additional sponsors including 30A, 30AEats, 30A Television, 850Tix, 8Fifty Productions, 98 Realty, The Beachcomber, Cumulus Broadcasting, Destin Life, Destin Log, Eloquent Signs, Emerald Coast Magazine, Emerald Ladies Journal, Good Grit Magazine, Gulf Coast Restaurants, Land • Air • Sea Productions, Maxine Orange, Mingle, Northwest Florida Daily News, Proffitt PR, SoWal Life, SoWal.com, Thirty A Review, VIP Destin Magazine, VIP Pensacola Magazine, and Visit South Walton. Bottom row from L to R: Greg Valloch, Ben & Jerry's; Teresa Imdieke, Habitat for Humanity; Denise Song, Habitat for Humanity. MIRAMAR BEACH, Fla. (May 8, 2018) – The Market Shops, located at the entrance to Sandestin Golf and Beach Resort, announces two new merchants Clean Juiceand Jon Smith Subs within the shopping center. Owners of the ever-popular local photo booth company, Epic Photo Co., have recently started a new endeavor by becoming a part of the Clean Juice franchise. With over 110 locations in development, The Market Shops is happy to call Clean Juice one of their newest tenants. Known for being the only 100% certified organic juice franchise, Clean Juice was founded on the purpose of providing families access to clean, organic products like grab-and-go cold-pressed juices, smoothies, cleanses and açaí bowls, along with specialty toasts and oat bowls. Jeff & Jamie Provinse are thrilled to be a part of this company which will bring more healthy and organic options to locals, commuters and visitors alike. Clean Juice will be located on the east end of the shopping center east of Wren’s Village Boutique and will be opening its doors in late summer 2018. To learn more about Clean Juice, please visit www.cleanjuice.com. Jon Smith Subs is a south Florida based sub shop fondly known for their overstuffed meals. Established in 1988, Jon Smith Subs specializes in mouthwatering sandwiches filled with high quality meats and farm-fresh vegetables that are sliced daily. Focusing on the importance of hand-crafted menu items for the customer, Jon Smith Subs offers a wide array of meat, topping, and sauce combinations. Rod and Stacey Melvin plan to open the 13th Jon Smith Subs franchise location in Fall 2018 at The Market Shops. Jon Smith Subs will be located west of Destin Luxury Real Estate on the east end of the shopping center. To learn more about Jon Smith Subs, please visit www.jonsmithsubs.com. 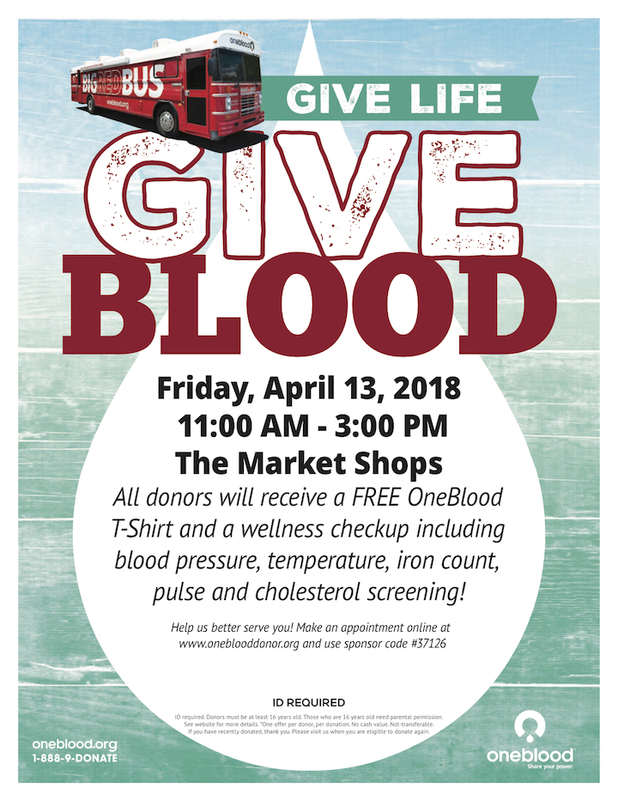 The Market Shops will host the OneBlood Drive on Friday, April 13, 2018, from 11:00 a.m. to 3:00 p.m. Following the success of the last three drives held in April July, and October, which saw an impressive number of donors, The Market Shops plans to continue these on a quarterly basis. The OneBlood Big Red Bus® will be parked in The Market Shops parking lot, adjacent to Highway 98. OneBlood is a not-for-profit 501(c)(3) community asset responsible for providing safe, available and affordable blood. Generally healthy people ages 16 or older who weigh at least 110 pounds can donate blood. Photo ID is required. All donors receive a wellness checkup of blood pressure, pulse, temperature and iron count, including cholesterol screening. Donors will also receive a OneBlood t-shirt and a kid’s scoop of ice cream from Ben & Jerry’s in The Market Shops. One in three people will need blood in their lifetime. Blood that is donated on April 13 will likely be transfused within two to three days. The turn-around is that fast, the need is constant. Many potential blood donors believe that they cannot donate blood due to medical or other reasons. If you are curious if you are a candidate for donation or to learn more about the importance of blood donation and how donors can target the power of their blood type, visit oneblood.org. Located at the entrance of Sandestin Golf and Beach Resort, The Market Shops is an upscale, neighborhood-style shopping, dining and entertainment center. The Market Shops is the Emerald Coast’s premier location for local and unique retailers, specialty boutiques, an array of eateries from casual to fine dining and signature annual events including The Bloody Mary Festival and more. For more information, visit www.themarketshops.com or find The Market Shops on Facebook, Twitter and Instagram. Friday, April 13, 2018 from 11:00 a.m. to 3:00 p.m.
MIRAMAR BEACH, Fla. – Sacred Heart Hospital on the Emerald Coast has acquired the newest state-of-the-art da Vinci Xi® Surgical System, one of the most precise and least invasive surgical treatments available. Thanks to the newly advanced, robotic, computer and optical technologies, many patients at Sacred Heart will experience faster recovery with shorter hospital stay, smaller incisions with less discomfort and reduced need for pain medicine. Gynecologic surgeon Dr. Glenn Bankert of Sacred Heart Medical Group is one of several highly skilled surgeons who will be using the new technology to perform minimally invasive surgery. Bankert has 3 ½ years of experience with robotic operations and has performed nearly 400 patient procedures using the da Vinci Surgical System at Sacred Heart Hospital in Pensacola and other hospital locations. Dr. Bankert’s training was performed through the Intuitive Training Centers in Atlanta, GA. with additional specialized training at Intuitive Training Centers in Sonnyvale, CA. Robotic arms equipped with a camera are guided remotely by the surgeon’s precise movements into the patient’s abdomen or chest through small incisions, typically the size of a dime. Surgeons see high-resolution video and move up to four robotic arms remotely to perform procedures. The da Vinci Xi instruments have tiny mechanical wrists that bend and rotate to mimic the movements of the human wrist – allowing the surgeon to perform even the most complex and delicate procedures through very small incisions with great precision. The da Vinci Xi System can be used across a wide spectrum of minimally invasive surgical procedures and has been optimized for procedures in which instruments must be able to reach up and down and across the abdomen or chest. 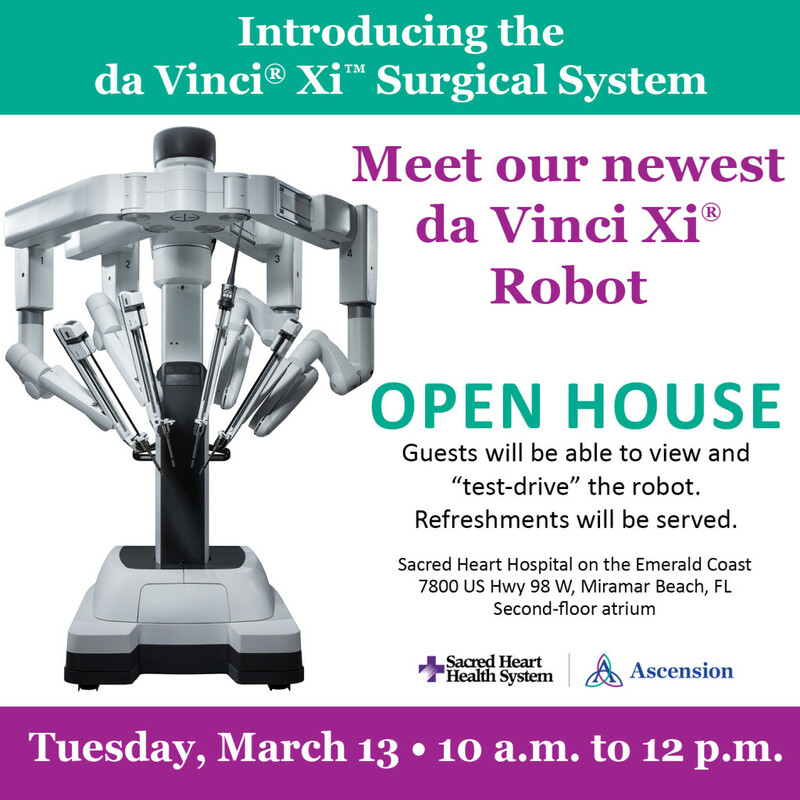 The community is invited to an open house and ribbon cutting event on Tuesday, March 13, from 10 a.m. to 12 p.m. on the hospital’s second-floor atrium area for a meet-n-greet with our surgical team and a “test drive” of the da Vinci Xi robot. Refreshments will be served. The newly advanced da Vinci Xi® system will also be available at Sacred Heart Hospital in Pensacola this June. On the Gulf Coast, Sacred Heart Health System based in Pensacola, Florida, and Providence Hospital based in Mobile, Alabama, are part of Ascension. Together, these Ascension healthcare facilities have served Gulf Coast communities for more than 160 years and they employ more than 6,600 associates. Across the region, Ascension provided more than $113 million in community benefit and care of persons living in poverty in fiscal year 2016. Ascension is a faith-based healthcare organization committed to delivering compassionate, personalized care to all, with special attention to persons living in poverty and those most vulnerable. Ascension is the largest non-profit health system in the U.S. and the world’s largest Catholic health system, operating 2,500 sites of care – including 141 hospitals and more than 30 senior living facilities – in 24 states and the District of Columbia. For more on Sacred Heart Health System, visit www.sacred-heart.org. 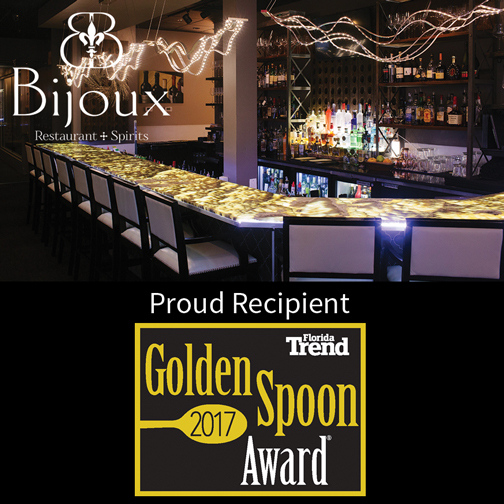 MIRAMAR BEACH, Fla. (Dec. 1, 2017) – Bijoux Restaurant + Spirits, located in The Market Shops at the entrance of Sandestin Golf and Beach Resort in Miramar Beach, was recently recognized as one of Florida’s best places to dine with “Florida Trend’s” Golden Spoon award. The annual winners appear in the 50th Anniversary Golden Spoon special section in the December issue of “Florida Trend” magazine. One of Destin’s top award-winning restaurants since 2002, Bijoux embodies coastal cuisine with a New Orleans flair. Open for dinner seven nights a week, Bijoux owners Leslie and Jack McGuckin, feature the freshest Gulf seafood, prime steaks and an extensive, award-winning wine list. The stylish bar and intimate lounge area features a nightly (5-7 p.m.) happy hour menu featuring delectable bites, wine, specialty martinis and craft cocktails. 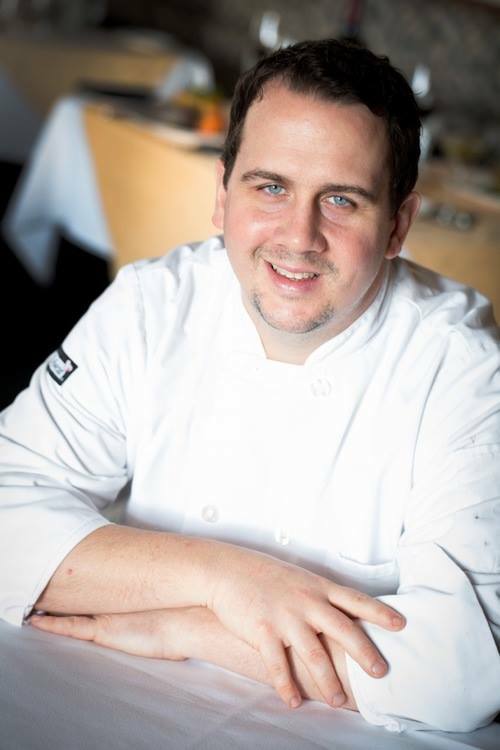 Award-winning Executive Chef/Owner Jack McGuckin and team curate seasonal menus that feature the highest quality ingredients sourced both locally and regionally. Reservations are suggested by calling 850-622-0760 or online via the Bijoux website www.BijouxDestin.com or through the free OpenTable smartphone app. Bijoux is located in the Market Shops at the entrance of Sandestin Golf and Beach Resort, on the south side of U.S. Hwy 98 at 9375 Emerald Coast Parkway W, (US Hwy 98) Ste 22, Miramar Beach, FL 32550. Bijoux is a full service fine dining restaurant located in The Market Shops located at the entrance to Sandestin Gold and Beach Resort. Open for dinner seven nights a week, Award-winning Executive Chef Jack McGuckin and his team curate the freshest Gulf seafood, finest prime steaks, and an extensive, award-winning wine list. The intimate Bijoux lounge features a full bar complete with a large selection of wine, specialty martinis and craft cocktails. 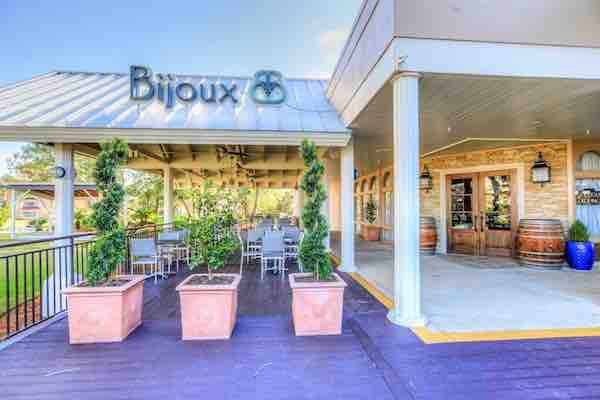 One of Destin’s top award-winning restaurants since 2002, Bijoux embodies “coastal cuisine with a New Orleans flair.” The main dining room can accommodate up to 120 guests, accompanied by an outdoor courtyard that comfortably seats 70, as well as multiple options for private dining for your party or event. MIRAMAR BEACH, Fla. (November 15, 2017) – The Market Shops, located at the entrance to Sandestin Golf and Beach Resort, announces new merchant Pizza by the Sea and the move of Sirens Lingerie & Swimwear to a new location within the shopping center. Deemed “30A’s #1 Hot Spot for Pizza,” the popular Pizza by the Sea will be opening the doors to its fourth location in the Market Shops. With its first restaurant opening in 2007, Pizza by the Sea has made headway as one of the best pizza places on the Emerald Coast. 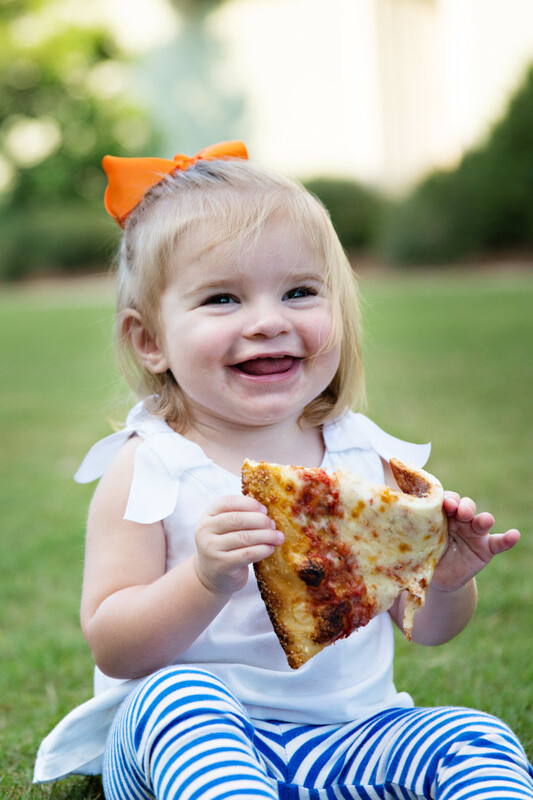 Known for its kid-friendly environment, with an emphasis on customer service and a helpful staff, Pizza by the Sea sets the standard for a local, family-owned business. Fresh cut ingredients and its famous thin crust coupled with gluten-free options have made them popular within the community as the restaurant provides options for every customer. Pizza by the Sea will be located behind Ben & Jerry’s on the west end of the shopping center and will be opening its doors in February 2018. Sirens Lingerie & Swimwear is a fine lingerie, lounge, and swimwear boutique fondly known as Sirens. Established in 2012, Sirens specializes in carrying collections of lingerie and swimwear for all types of women. Focusing on the importance of fit for the buyer, the boutique is filled with a variety of bra sized swimwear, 0-20w, and a wide array of designers to choose from to ensure their customers’ needs are met. Siren’s is also known for their implication of old-world customer service, in which they offer their clients one-on-one attendance and a variety of other added services such as personal shopping appointments, gift registry services, honeymoon attire, gift packaging and bridal trunk shows. Previously located next to Destin Luxury Real Estate & Rental, Sirens will now be moving to a new location next to 30A Television. Sirens will sustain its normal business hours Monday through Saturday from 10 a.m. – 6 p.m. and Sunday from 12 p.m. – 6 p.m. and will be open for business on Friday, November 17. On May 23, The Dressing Room Boutique, Sirens Lingerie & Swim, Wren’s Village Boutique, and Chapeau & Chocolat, four locally based, upscale boutiques, hosted “Barks, Baubles & Brews,” benefiting Alaqua Animal Refuge. The all-day event included designer trunk shows, food vendors, live entertainment, pet adoptions and breweries, featuring Bijoux De Mer Fine Jewelry, The Salty Sparrow, Primp Salon, Tesseyman, White Pearl, Mara Design Group, Polli Henna, 3rd Planet Brewing, Grayton Beer Company, Bijoux, Charlie Grainger’s, Charlie’s Donut Truck and Ben & Jerry’s. The boutiques and designer trunk shows displayed beautiful, handcrafted jewelry, handmade tanks and tops, motivational books, fashion, art, hats, swimwear and much more. A portion of all sales from both the designers and the boutiques went back to Alaqua Animal Refuge. Food vendors served scrumptious fare, while the breweries poured ice cold beer. Ben & Jerry’s offered two delicious ice cream flavors to the attendees and Charlie’s Donut Truck was a huge success, serving their mini-donuts. Continuum rocked the crowd during “Yappy Hour.” Alaqua was also successful in receiving several applications for pet adoptions that evening. Hundreds attended the event and $2,227.95 was raised. 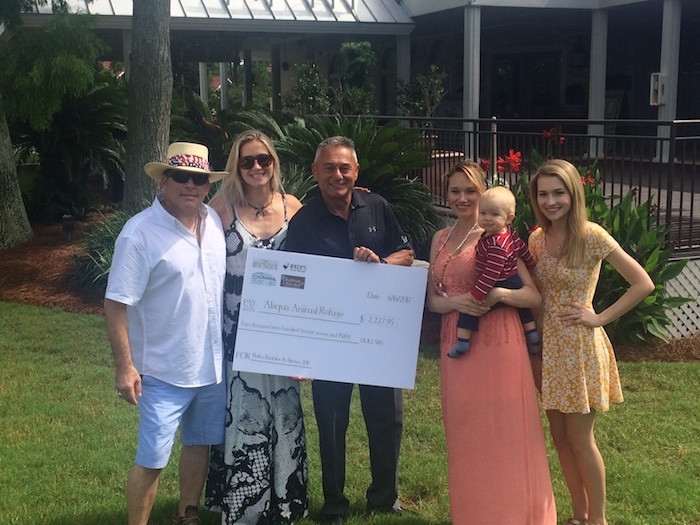 The check was presented this week to Alaqua Board Chairman, Joe Capers. For additional press information about this event, please contact Lauren Gall at lauren@barbergall.com or call (850)420-0634. To learn more about Alaqua Animal Refuge, visit alaqua.org. 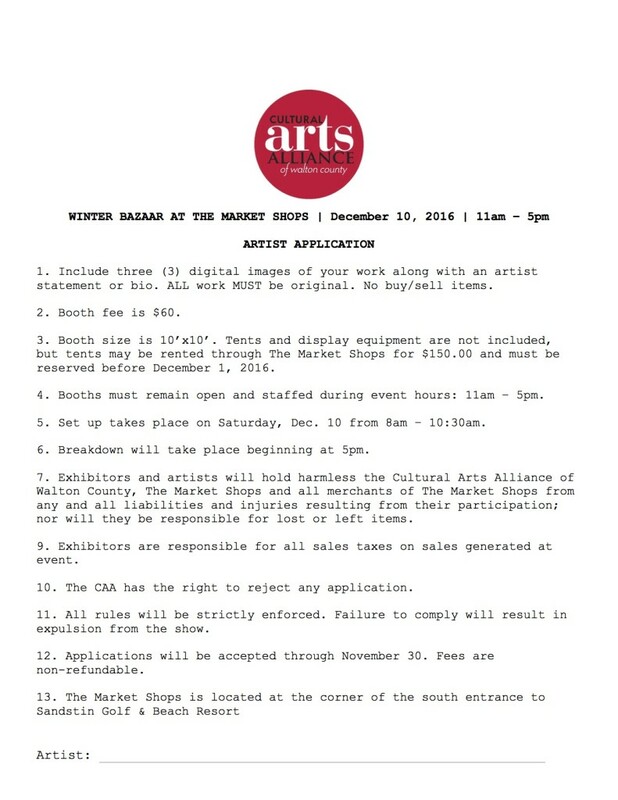 The Market Shops is pleased to announce three upcoming merchant events. 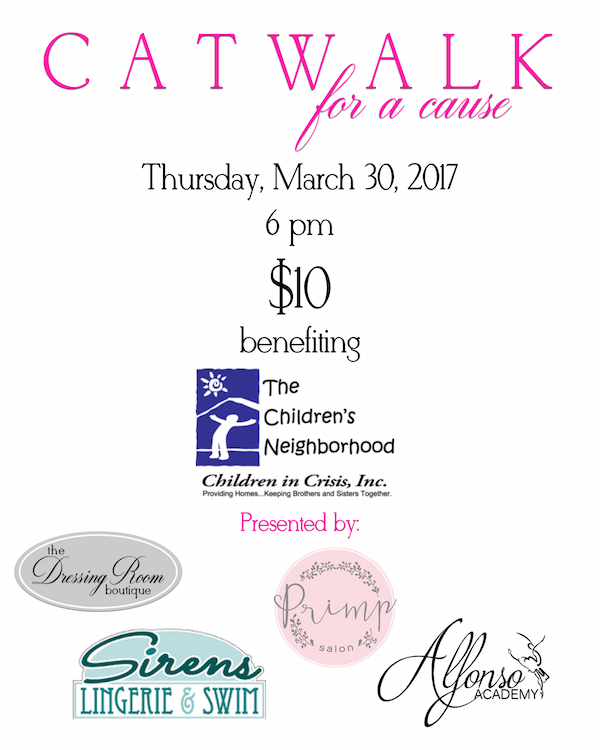 The Dressing Room Boutique will host Catwalk for a Cause, an event and contest benefiting Children in Crisis, Inc. on Thursday, March 30, 2017, beginning at 6:00 p.m. Twenty high school senior and junior girls, from Okaloosa and Walton County, are participating to win the prom dress of their dreams and walk the runway for a great cause. The participant who sells the most tickets prior to the event will be announced as the winner at the end of the fashion show and will win a custom prom dress of her choice. All proceeds will benefit local non-profit, Children in Crisis, Inc., a 501(c)(3) non-profit organization dedicated to providing homes to abused, neglected, and abandoned children in our community. Tickets are $10 and available at The Dressing Room Boutique or online. 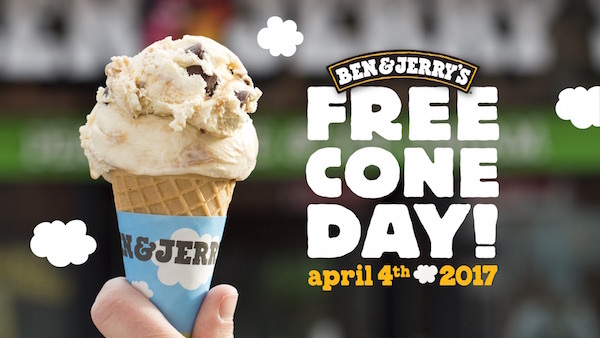 Ben & Jerry’s fans around the world can mark April 4, 2017, on their calendar as the local scoop shop will celebrate Free Cone Day at The Market Shops from 12:00 p.m. to 8:00 p.m. Fans are invited to The Market Shops, located at 9375 Emerald Coast Parkway, Miramar Beach, FL 32550, to join in on the company’s long-time tradition of thanking fans for their commitment and ongoing support. The event is open to the public, and guests will be served on a first-come, first-served basis. Individual scoop cups and cones are complimentary during the allotted time. Additionally, guests who donate $1 will receive a second scoop as donations benefit The HER Foundation of Northwest Florida and Sacred Heart Hospital on the Emerald Coast. 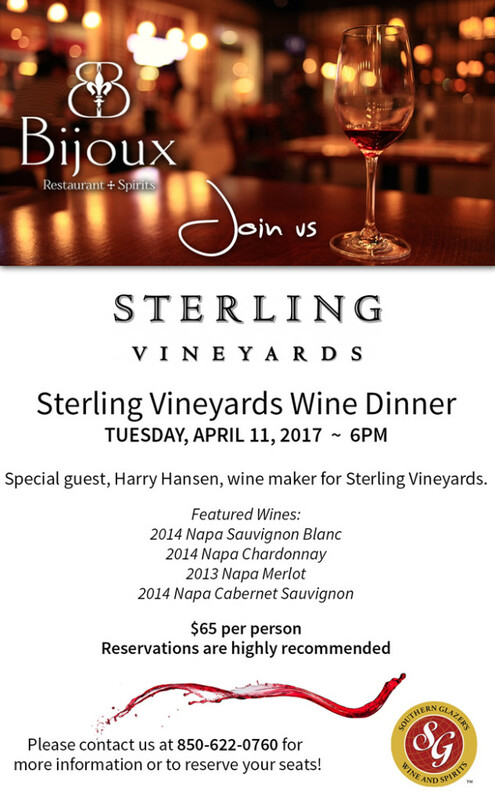 On Tuesday, April 11, 2017, Bijoux Restaurant & Spirits will host a wine dinner showcasing Sterling Vineyards at 6:00 p.m. Featured wines include their 2014 Napa Sauvignon Blanc, 2014 Napa Chardonnay, 2013 Napa Merlot and 2014 Napa Cabernet Sauvignon. Sterling's single vineyard estates include vastly different terroirs producing wines of great distinction. In addition to the fabulous wines, guests will enjoy 5 courses prepared by Bijoux Executive Chef & Owner Jack McGuckin. Cost to attend is $65 per person, and reservations are highly recommended. Please contact Bijoux at (850) 622-0760 for more information or to reserve your seats. Local Upscale Fashion Boutique to Host Prom Dress Contest & Fashion Show to Benefit Children in Crisis, Inc. The Dressing Room Boutique, a local, upscale ladies fashion boutique, recently announced that they will host Catwalk for a Cause, an event and contest benefiting Children in Crisis, Inc. The boutique will host the prom dress contest beginning March 1 through March 29. 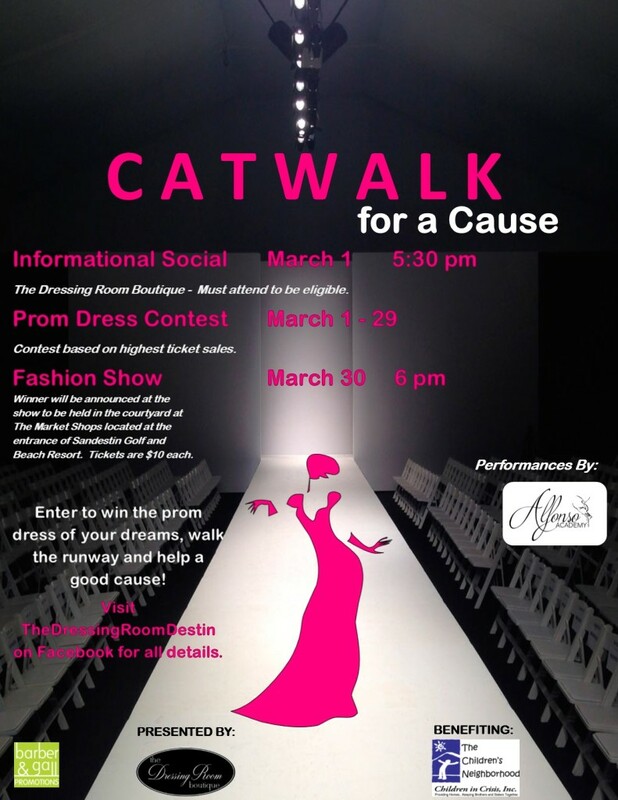 The first 30 high school senior or junior girls who apply, from Okaloosa or Walton County, will be entered to win the prom dress of their dreams and all participants will walk the fashion show at the Catwalk for a Cause event on March 30. The participant who sells the most tickets to the event will be announced as the winner at the end of the fashion show and will win a custom prom dress of her choice. All proceeds will go to benefit local non-profit, Children in Crisis, Inc.
For those interested in participating, there will be an information social at The Dressing Room Boutique on Wednesday, March 1, at 5:30 pm. Those that are interested in participating, along with their parents, are encouraged to attend to be eligible for the contest. Please RSVP to lauren@barbergall.com or call 850-420-0634 on or before February 28th.The boutique can be found in The Market Shops located at the entrance of Sandestin Golf and Beach Resort. Catwalk for a Cause will take place in the courtyard of The Market Shops, located at the entrance of Sandestin Golf and Beach Resort, on March 30 at 6 pm. Tickets are $10 each and can be purchased through participants and at The Dressing Room Boutique. Award-winning dancers from the Alfonso Academy will open the show, with DJ 30A providing music and entertainment during the show. The Dressing Room Boutique offers a dynamic wardrobe for women and is built upon the principle that building a quality wardrobe shouldn't break the bank. At The Dressing Room Boutique, you'll find the timeless pieces that never grow old and the latest trends to keep a wardrobe fresh. Their mission is to bring out their client’s inner beauty and personality to the surface, while allowing the customer to confidently conquer the world in style. The boutique will also soon offer a select variety of designer formal and prom gowns. To learn more about The Dressing Room Boutique, find them on Facebook, as well as follow them on Instagram. Store hours of operation are 10 AM – 6 PM Monday-Saturday and 1 PM-5 PM on Sunday. The Dressing Room Boutique recently announced that they will host a holiday drive benefiting Children in Crisis, Inc. (CIC) The upscale ladies boutique, located at The Market Shops at the entrance of Sandestin Golf and Beach Resort, will collect much needed items for the non-profit organization from today through January 31, 2016. Items needed include: child friendly DVDs, board games, hairbrushes, and gift cards to Starbucks, Burger King, McDonald’s and Books A Million. All of these items can be dropped off at the boutique, Monday through Saturday, between 10 am and 6 pm. Children in Crisis, Inc. is a local 501(c)(3) non-profit organization of caring people, working together to provide homes and keep brothers and sisters together. The organization gives a home to the abused, neglected, and abandoned children of our community. Before Children in Crisis, there was no Emergency Shelter in Circuit One (which includes Okaloosa, Walton, Escambia and Santa Rosa Counties in Northwest Florida) for young children removed from an unsafe environment on short notice. Without CIC and the stability it brings, many foster children would be moved from home to home, some as many as ten times per year. The Children’s Neighborhood provides a home to an average of 100 children per year. Since opening their doors in 2008, CIC has been called “home” by nearly 700 children. Providing these children with over 70,000 days and nights of a safe, loving environment to grow and thrive. At The Children’s Neighborhood, sibling separation is minimized and it is their priority to keep brothers and sisters together. 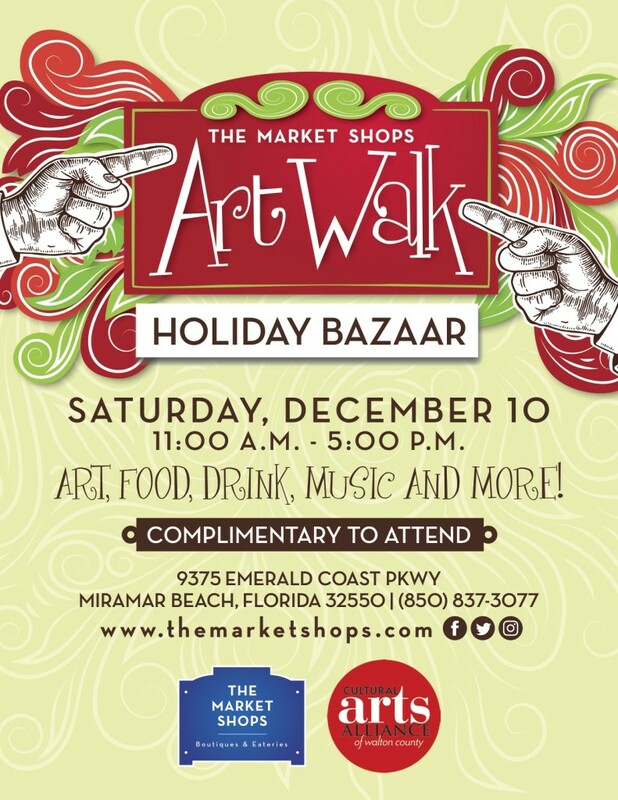 The Market Shops, located at the entrance to Sandestin Golf and Beach Resort, announces the Holiday Bazaar ArtWalk on Saturday, December 10, 2016, from 11:00 a.m. to 5:00 p.m.
Held in conjunction with the Cultural Arts Alliance of Walton County, the inaugural Holiday Bazaar ArtWalk will include an artist marketplace, live music by the Fort Walton Beach High School Valhalla Choir, shopping and dining with Market Shops merchants and children’s activities. The Market Shops will come alive with artists displaying and selling their original, handmade quality pieces. The Cultural Arts Alliance is currently accepting applications for interested exhibitors and artists now through November 30, 2016. 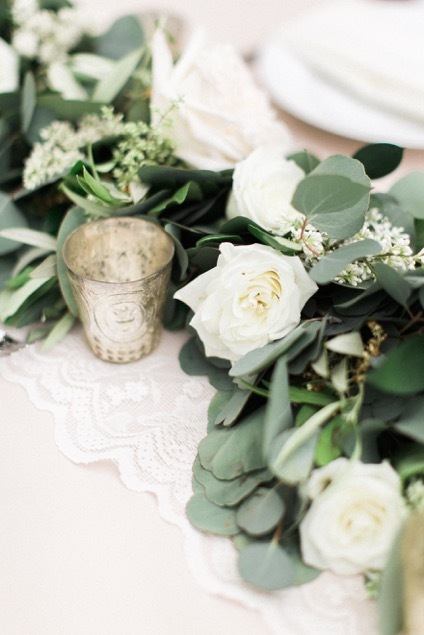 MIRAMAR BEACH, Fla. (Nov. 2, 2016) – Join the Junior League of the Emerald Coast and Flowers by Milk & Honey at Bijoux Restaurant & Spirits located at The Market Shops, on Saturday, November 19 for a hands-on seasonal floral wreath workshop. Indulge in sips and snacks crafted by Bijoux Executive Chef Jack McGuckin while you design your very own wreath to take home. To ensure your experience is personal and interactive, there are two time offerings available: 10:30 a.m. and 1:30 p.m. The event is approximately two hours long. Bijoux is located in the Market Shops at the entrance of the Sandestin Golf and Beach Resort, on the south side of 98 (Emerald Coast Parkway), at 9375 US Highway 98 W Ste 22, Miramar Beach, FL 32550. For more information, please call 850-622-0760.
jadeeastcondos.com - Located at the entrance of Sandestin Golf & Beach Resort, The Market Shops at Sandestin feature local shopping, restaurants and entertainment. The renovated shopping center is attracting new shops, including Village Boutique, as well as new restaurants including Bijoux and DIG. For more information, visit the www.themarketshops.com. waltonsun.com - The newly remodeled Market Shops at Sandestin hosted its grand opening and ribbon cutting last week, and all 11 of its stores opened their doors offering tapas and libations to celebrate. theculturetrip.com - South Walton is made up of 26 miles of beach neighbourhoods on the Gulf Coast such as Santa Rosa, Alys Beach, Seagrove, Grayton Beach and Water Color. Renowned for these superb coastal stretches, South Walton is packed with top-quality restaurants and is relatively undisturbed as most visitors to the state head to Miami, Florida Keys, or Orlando. Here are ten of the very best restaurants to try in South Walton. nwfdailynews.com - DIG, which stands for Dig in the Gulf, is in the Market Shops at Sandestin in Miramar Beach. destinshines.com - DIG is a family owned and operated eatery which recently opened in the Market Shops at Sandestin. DIG offers breakfast, lunch and an early dinner, as well as a healthy selection of prepared meals to go. destinfun.com - The 5th Annual Sip n Shop event is set to be one fabulous day of shopping, eating, and sipping at Bijoux in The Market Shops in Sandestin on May 1, 11am - 3pm! As a part of the Chi Chi Miguel Throwdown weekend (May 1 & 2), Sip n Shop brings together local vendors and winemakers in an effort to raise money and awareness for Alaqua Animal Refuge. fabuloustorture.blogspot.com - I was wearing this floral print dress to the Wyland Galleries of Destin grand opening. If you ever visit Destin, you have to stop by the gallery. Wyland's pieces are unbelievable! We had the pleasure to meet Wyland and see him in his happy painting world. He is unbelievably talented and fast. waltonsun.com - Sip n Shop: The Chi Chi Miguel Fifth Annual Sip n Shop is set to be a day of shopping, eating, and sipping from 11 a.m. to 3 p.m. atBijoux in the Market Shops of Sandestin in Miramar Beach. Local vendors and winemakers will raise money and awareness for Alaqua Animal Refuge. Unique, local businesses set up shop to bring private shopping right to the participants as they sip champagne and wine, followed by a three-course lunch. waltonsun.com - If cutting-edge fashion and style is what you seek, Village Boutique is for you. nwfdailynews.com - A familiar face has made his way back to the Emerald Coast. newsherald.com - Wyland returns to the Emerald Coast with the grand opening of Wyland Galleries at The Market Shops 6-10 p.m. Friday and Saturday, April 17 and 18. Internationally acclaimed for his marine life murals spanning five continents and 17 countries, marine life artist Wyland is best known in the region for his majestic 1,500-foot long, 60-foot high mural on the Mid-Bay Marina in the heart of Destin. 30a.tv - The 5th Annual Sip n Shop event is set to be one fabulous day of shopping, eating, and sipping! As a part of the Chi Chi Miguel Throwdown weekend on May 1 and 2, Sip n Shop brings together local vendors and winemakers in an effort to raise money and awareness for Alaqua Animal Refuge. waltonsun.com - A familiar face is making his way back to the Emerald Coast next weekend. The new Wyland Gallery in the Market Shops at Sandestin will have a grand opening April 17 and 18 from 6 -10 p.m.
alaquaanimalrefuge.org - Ticket price is $150, which includes lunch, select shopping on-site, and plenty of wine and champagne to sip! Click hereto reserve your spot! Can't join us, but want to help the abuse, neglected, and homeless animals of the Emerald Coast? chichimiguel.com - Join us for sipping, select shopping on-site, and an incredible lunch. Once again this event will benefit the Alaqua Animal Refuge. destinvacation.com - Locals and visitors along the Emerald Coast enjoy eating fresh locally grown and caught delicacies. Now, there's another great new casual dining restaurant opening in the South Walton - Destin area. We’re excited to share that DIG, which stands for Dig In Gulf, is opening in March at the Market Shops at Sandestin. sinfoniagulfcoast.org - Be There. Be Fabulous. Support Music Education! Slip on your Jimmy Choos and get ready for an amazing weekend of fabulous fashion, exclusive wines, and award-winning cuisine within South Walton’s spectacular beachside setting. thedestinlog.com - The Market Shops, located at the entrance to Sandestin Golf and Beach Resort, is proud to announce two new restaurants in the newly renovated shopping center. sowal.com - Several new eateries coming to Sandestin this spring! businessfinder.al.com - Sunset Shoes at the Market Shops of Sandestin opened in 1997 to sell shoes & the like. Since that time there have been many expansions, now this location is over 5,000 square feet of not only shoes, but also clothing, jewelry & much more. nwfdailynews.com - One of the most remarkable transformations of a restaurant space I have seen in this area is the change from a Beef O’Brady’s sports bar to the elegant Bijoux. seaoatsrentals.com - SEA OATS MOTEL & MANAGEMENT CO. IS LOCATED RIGHT IN THE HEART OF DESTIN. collectiononmarco.com - Bijoux is a recently opened, unique gift shop carrying home goods, jewelry, body care products, gifts and some specialty apparel. sowal.com - Bijoux is a full service fine dining restaurant located in The Market Shops at Sandestin. Open for dinner seven nights a week, we feature the freshest Gulf seafood, prime steaks and an extensive award winning wine list. Our intimate Bijoux lounge features a full bar complete with a large selection of specialty martinis. nwfdailynews.com - The Market Shops at Sandestin have struggled in recent years, but an ongoing multi-million dollar renovation looks to rejuvenate the shopping center. Miramar Beach, Fla – (April 23, 2014) – The Market Shops located at the entrance to Sandestin Golf and Beach Resort has unveiled specific details and a timeline for the extensive renovation that is currently taking place on the property. Construction on the property began on March 17, 2014 and includes major exterior repairs including: doors and windows being installed to all storefronts facing Emerald Coast Parkway, which will provide easy access from the parking lot and visibility to traffic passing by, as well as redesigned courtyards and walkways. Brick pavers are being laid in the interior common area of the center to create a courtyard that will be the epicenter for events, nightlife, live music and more. The center will also receive cosmetic enhancements including a new façade, stone columns, a new paint color scheme and a complete redesign of landscaping. The lawn on the east side of the property has been expanded and refreshed to host festivals, concerts and other special events in the future. The renovation is scheduled for completion by Summer 2014. In the interim, the local community is invited to the center every Sunday for the Seaside Farmer’s Market at The Market Shops beginning Sunday, April 27, 2014 from 9:00 a.m. to 1:00 p.m. The Market Shops confirms the addition of several new merchants that will be joining Sunset Shoes, Sandestin Real Estate and Tandestin including a new fine dining concept by the managementof Bistro Bijoux, Sirens at the Beach, a locally owned lingerie, lounge, swim and sleepwear boutique, Favori Gift Boutique, a mini sweet shop, apparel, jewelry and art boutique as well as Market Shops Nails & Spa. Several additional new merchants will be announced in the coming weeks, and many of The Market Shops merchants will be open for business during the renovation of the center. Built in 1985, this is the first renovation that the 52,000 square foot center has undergone. Owners of the center, OBP Partners of Miami, Fla., acquired the property in 2002, and in 2013 took over the asset’s management duties from the prior operator. JPB Commercial Real Estate Advisors is handling all leasing for The Market Shops and has seen very strong interest from local and regional retailers and restaurateurs. Currently in the pre-leasing stage, the center has reached more than 50% occupancy. Those wishing to inquire about leasing space at The Market Shops should contact JPB agents Tom Watson at 850-527-3524 or Doreen Baca at 850-460-5050. Located at the entrance of Sandestin Golf and Beach Resort, The Market Shops is an upscale, neighborhood-style shopping, dining and entertainment center. After going through a complete renovation in the spring of 2014, The Market Shops will reemerge as the Emerald Coast’s premier location for unique retailers, specialty boutiques and an array of eateries from casual to fine dining. The East Lawn and Courtyard will feature live music and local events including wine walkabouts, farmer’s markets, concerts and more. For more information visit www.themarketshops.com or find The Market Shops on Facebook and Twitter. Founded in 1970, OBP Partners is a real estate investment company with offices in Miami, Florida. OBP Partners has built, owned, and operated manufactured housing, office, industrial, multifamily, retail and medical office properties throughout Florida, Tennessee and Virginia, as well as water and wastewater utilities throughout Florida. sowal.com - Walking into Jewel Toffier in Gulf Place is like walking into a girl's dream closet with all of your closest friends. Jewel Toffier is known for its private-label coastal clothing and accessories. Enter your email address to receive notifications of new events by email.